The U of I Boise Water Center, home of the Center for Ecohydraulics Research in Boise, Idaho. The Center for Ecohydraulics Research (CER) is a graduate education and research program dedicated to studying links between physical processes and aquatic ecosystems. Students can be either full time or part-time enabling them to continue working while pursuing research of direct relevance to their employer. The environment, water and natural resources have been thematic pillars of excellence at the University of Idaho for decades and will continue as a priority into the future. CER interacts with the University' of Idaho’s other water programs in the College of Natural Resources, Idaho Water Resources Research Institute and the Waters Resources program. U of I Waters Resources program (WoW). 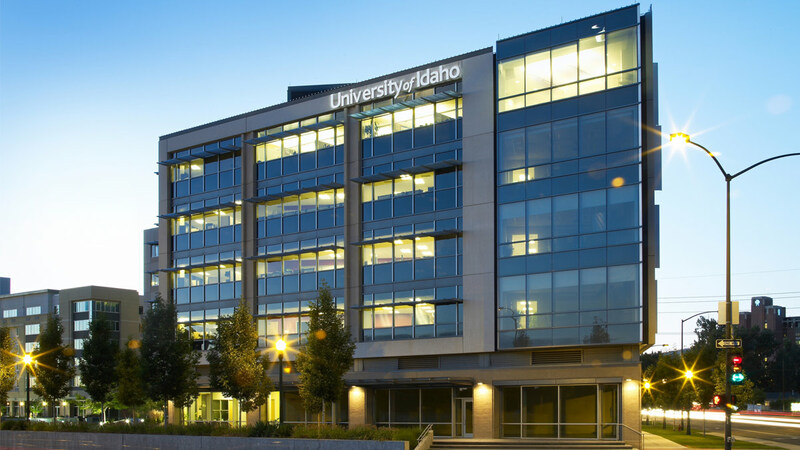 Enter "Center for Ecohydraulics Research - UI Boise Engineering" as the designation for your gift.